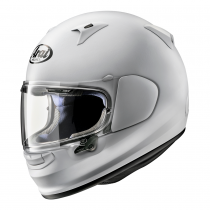 The Profle-V is a brand-new helmet from Arai. 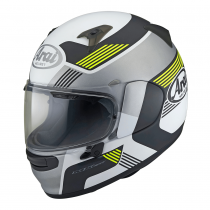 It has a fresh, aggressive style unique in the range and is designed to welcome riders to the Arai family with the plush comfort, protection and features expected of the brand but also something else – easy access on and off. A brand new model has arrived for the new season. The Arai Profile is handmade to the highest quality, just like all Arai helmets. 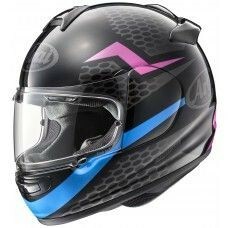 But this model of helmet is perfect for those new to the world of two wheels. 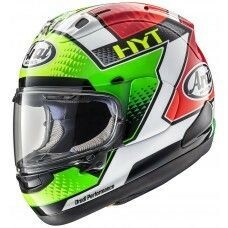 The Arai Profile Copy colourways is available in 2 fantastic colourways. 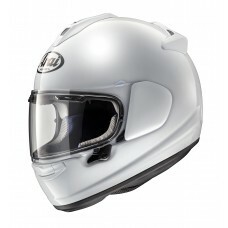 The Arai Profile V helmet offers fantastic value for money and is brand new for the upcoming season. Designed using the VAS system, the Profile V Bend is available in 3 different colourways and handmade. 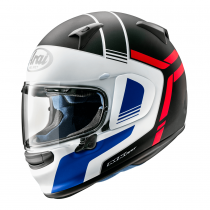 Available in 2 fantastic colourways, the Arai Profile V Tube is a brand new helmet for the 2019 season and shares similar features to other models within the Arai range such as the VAS system and the Facial Countour System (FCS). The Arai Profile-V motorcycle helmet is the perfect choice for any rider who owns a street bike and has features such as the FCS for the most comfortable. This full-face helmet is available in the Frost Black colourway. The Profile-V motorcycle helmet is a brand new model in the Arai range. As with all Arai helmets the Profile-V uses a strong outer shell to deflect impact whilst maintaining integrity. 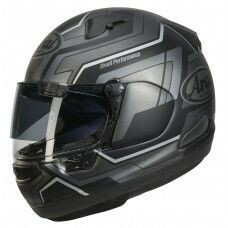 This is the perfect full face helmet for any rider who is new to the Arai experience. The perfect choice for any motorcycle rider who uses a street bike. The Arai Profile-V has fantastic ventilation and also uses a chin curtain which blocks air intrusion and reduces turbulence whilst riding along with reducing noise. Introducing the Profile-V, a brand-new model to the Arai helmet collection. This motorcycle helmet is handmade to the highest safety standard just like all Arai helmets and also has a washable interior. The Profile-V is available in this standout Calm Red colour option. The new Arai Profile-V is designed to have that sporty, aggressive style but without compromising the safety and comfort which Arai helmets are known for. Features of the Profile-V include the VAS visor system as seen on the top models such as the RX-7V. 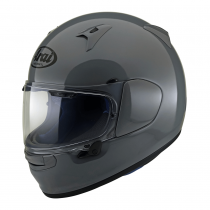 This helmet is available in a stylish Diamond Black colour option. 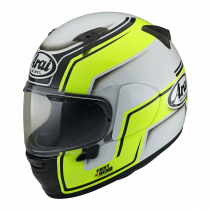 The Profile-V helmet is a brand-new model introduced to the Arai family for the new season. Available in the Modern Grey colourway, this helmet has lots of features which you would see in the top of the range helmets such as the Double D retention system and the option to change the cheek pads and ear cups, enabling you to get the most comfortable fit possible.